The gathering will include: Opening Prayer, Spiritual Reading, group sharing/petitions/comments, an Our Father and Closing Prayer. They will also have information on various agencies that can help with whatever you or a loved one are encountering - be it depression, anxiety, grief, addiction, stress, or other struggles.It is NOT a therapy session (they are not trained to do that). It is more a chance to be with others, share, listen with empathy, learn about available resources and pray together.are welcome. St. Didacus Parish Mental Health Ministry Phone Line. Our Mental Health Ministry team has had specific training that will help us to help you find the resources and guidance you or a family member may need in dealing with mental health issues. 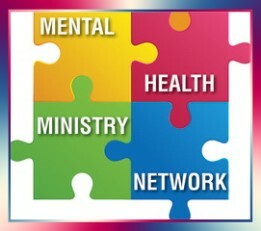 To help in this effort and to connect to you directly, we have established a specific St. Didacus Parish Mental Health Ministry phone line. and we will call you back within 24 hours. We look forward, by God's grace, to being able to help you navigate what's next for you and/or your loved one. We are here to offer encouragement, prayer, and practical support. Please also visit the Office for Social Justice-Diocesan Mental Health Ministry link here to learn more about this ministry. y ellos le llamaran en el plazo de 24 horas. (En caso de emergencia, llame al 911).